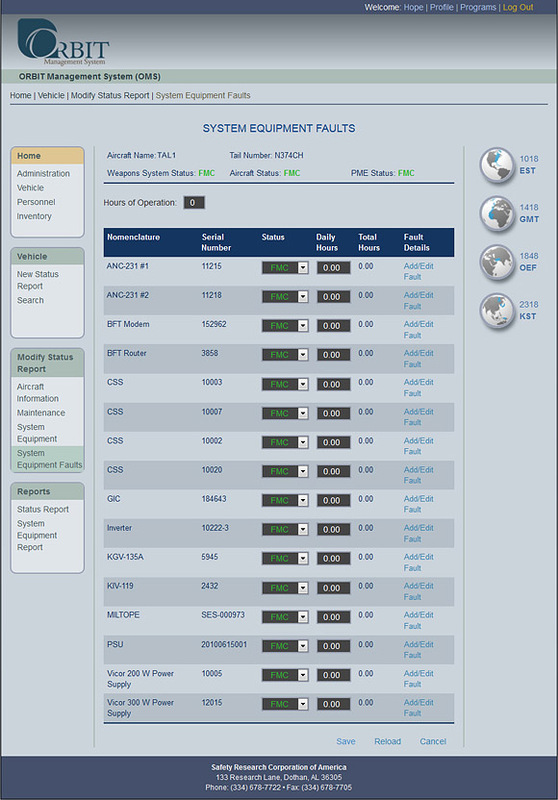 The Asset Reporting Dashboard displays customized information relating to each particular system. There are multiple reporting options available in the bottom left menu. 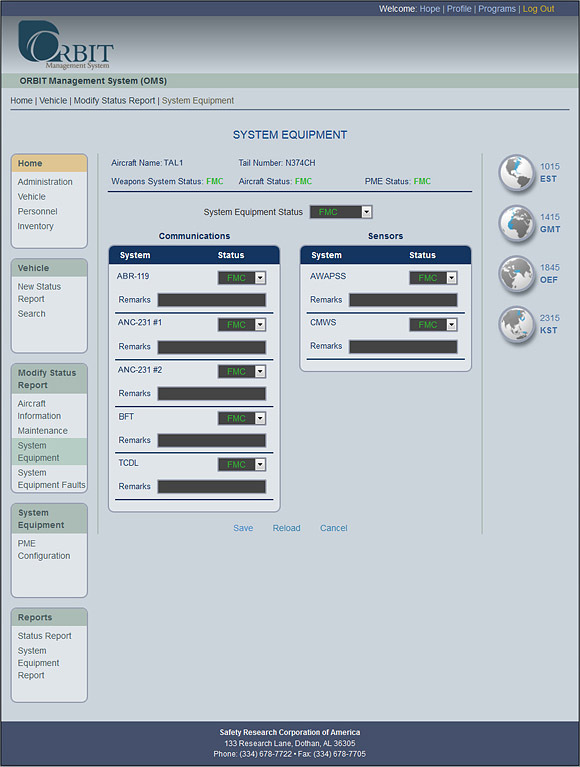 The Asset Information page gives the approved user intuitive data entry fields to reduce reporting. Faults can be recorded and tracked for patterns and reoccurrence to assist with failure reporting. 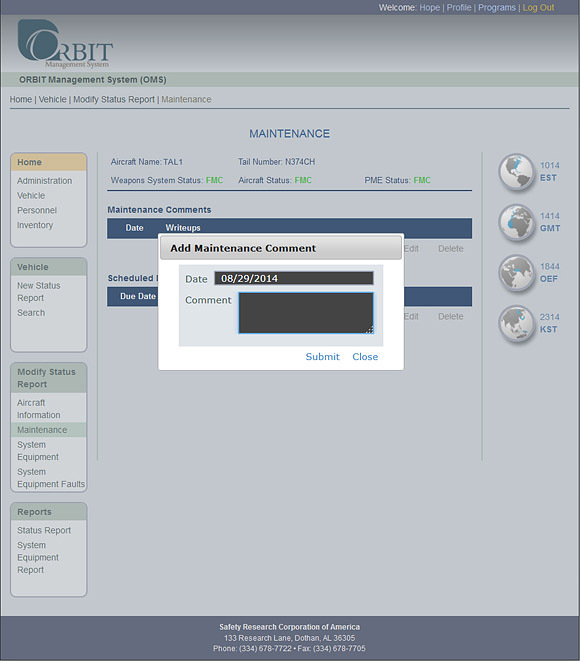 Comprehensive record keeping of maintenance actions allows for greater situational awareness. 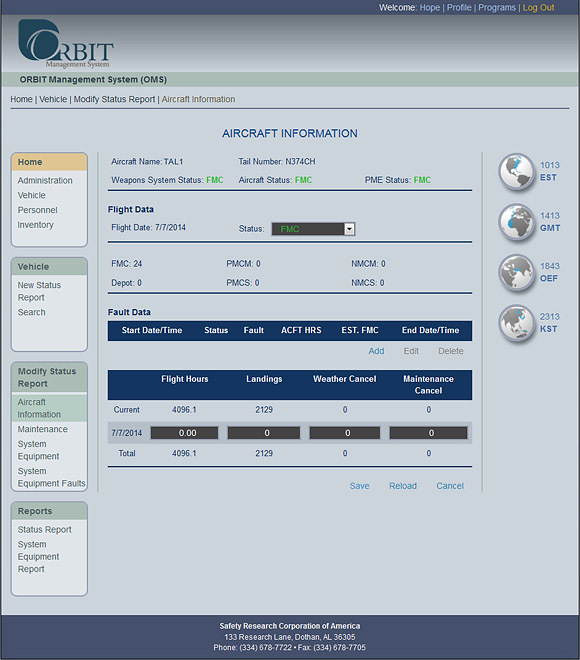 The ORBIT Web Portal has the ability to preset system equipment configurations for individual or groups of assets.